Complete measuring system for demanding use. 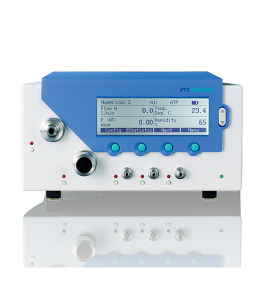 The high-precision measuring instrument CITREX H5 is the ideal solution to check and calibrate your gas flow and pressure generating devices simply and accurately. 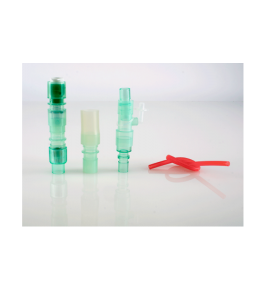 The extensive accessories include all required parts which are necessary for an accurate measurement. 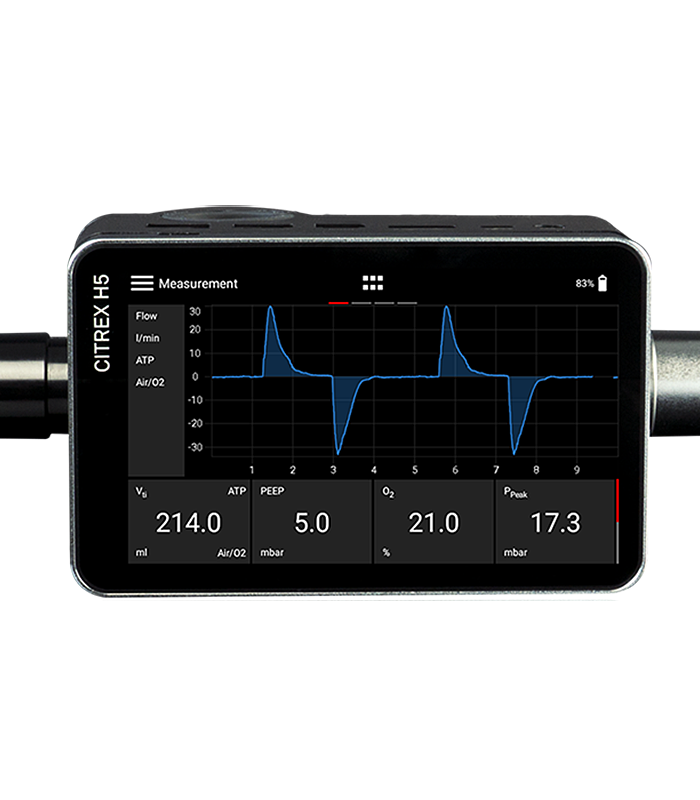 The CITREX H5 is ideal for mobile use due to its robust and compact design. 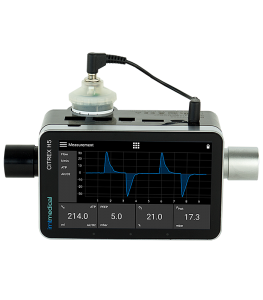 The device measures bi-directional flows, pressure, temperatures and oxygen concentrations. The 4.3” high resolution colour touch screen displays both numerical and graphical and trending data perfectly. 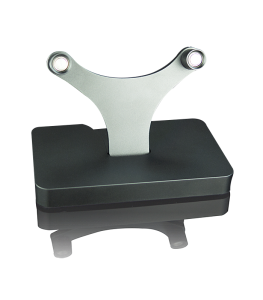 The intuitive user interface is easily configurable, with options to save multiple profiles to suit many different applications. 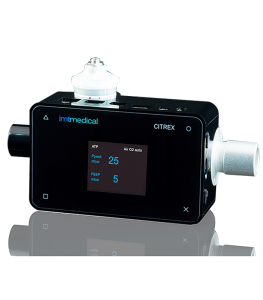 With a choice of 26 different flow, pressure and ventilation parameters, plus trend data, it is possible to configure the CITREX H5 exactly to your needs.